I was at Rite-Aid yesterday and something happened that I am still confused over. As I was in line paying, an older woman, maybe mid-50’s, came up behind me and said “excuse me ma’am’ to the cashier. I turned around to see a woman with a flu-mask on. I’m always set back when I see so many people out and about with these masks on. It’s one thing if you are at the pharmacy, because there is no one at home to run and get your meds, etc…But to be out and about–Subway, Pizza Hot (not eating, but just with your friends.) At conveniences stores getting cigarettes…WITH THE FLU!? What was so important? Why was she there? I didn’t notice any pharmacy bags in her hand. She then went on to tell the cashier that the wild birds ran out of bird seed, and she hated to have to come out, but what was she going to do? And if you really feel that the birds won;t be able to manage for a couple days, have a freind bring you a bag of bird seed? Don’t get me wrong, I feed the wild birds here, regularly…I have been watching the Eastern Blue birds all morning..
She said she just lived around the corner and didn’t want to travel far…Which was good. After she left the cashier told me she was crazy to be out for bird seed. I think I am more mad when I have my little ones with me…and that has happened in the past with people wearing masks, yet when they get in a coughing frenzy, they REMOVE them..to cough it out! This past year that happened at Sheetz, and we got sick. I wonder if it would be seen as rude to tell them that they should BE HOME! Makes you wonder if the virus has been ‘let out’ purposely…So now they can ‘GET BUSY’ and work on a vaccine for it. As well as this new flu strand that is targeting younger people..for those who DIDN’T feel the need to get the flu vaccine previous years, due to their age…. Will NOW run out and get it..Which apparently worked! My friend April who has never felt the need to get the flu shot, got it this year, then got the flu. DH and I have only gotten the flu shot once. And that was the year we both got the flu. Will we not be able to buy or sell without a mark in this generation? Will we get prosecuted for our love for Christ and stance on Freedom? Are we really prepared for what lies ahead? I’d be lying if I said it hasn’t been making me nervous…and I do not want to spend the rest of my days on earth focused on all of this. I want to live life to it’s fullest! I went to the doctors today. I had yearly blood work done. Everything is good except my anemia and lazy thyroid…which I already knew from last year. They tried to get me to have a mammogram too, until I asked them if they saw the latest reports on them..They no longer feel that 40 is the right age to start getting one, but 50..
And to top that, there has no solid proof that having them at all, has caught any life threatening cancers. Most that have been caught were treated as if they were. Come to find out they were benign. THAT is what the news said just last week! Then they asked when was the last time I got a pap smear and all that fun stuff..Thankfully I did just take care of that for the first time in seven years. I did that just a couple weeks ago and all was A’OK! Then they wanted to give me a tetanus shot..which I declined, but may change my mind next year if we end up going on a mission trip to Guatemala. And for her, that is a lot. She is very tiny. SOmething bad that happened, was I am shorter! They checked twice and did mention it to me. The year before last, I was 5’10. Last year I was 5’9, and today i was 5’8! IDK, I thought that was very odd. They told me it was normal, and I probably will not get any shorter. I need to go have a internal ultrasound done to make sure all looks good. Hopefully after next week I will be good to go till next year, or better yet, the year after..
I’ve really been trying to be diligent about keeping up with my health..now that I am getting older. After my doctors appointment we went back to the office and while in the bathroom of all places..A lady came up behind me and gave me a great big hug! A much needed hug, actually. She is a coworker of DH’s, who I’ve not seen in ages. She is such a genuine, loving person..It was exactly what I needed to brighten up my day. –And here it is, nearly midnight. I’ve only had 5 hours of sleep last night..yet I managed to spend the day at DH’s work, go grocery shopping. Stop at a new Goodwill. Then go to the gym and did a very good workout on the Elliptical. I feel very proud of myself today.. I thought I would be having FB withdrawals like I did last November, but I’m really not. A couple FB friends have been texting me, but My daily texts have went from about 60, to 3! Mainly because each time I post on a FB post, anyone who posts after me gets sent to my phone as 1/2 a text. It doesn’t always come at the moment someone posts, but I do eventually get it.. I suppose that will change once my iphone comes in the mail. Dad called to tell me that they shipped it yesterday. I’m still in shock that he went and just got me one. I am still not sure though, but trying remain optimistic. I know my dad just wants to make me happy, and I love him for that. I have been watching youtube videos to teach me how to use it. I’m pretty old school..so we will see. The one thing that I have excited myself about is the voice command. When I want to text someone, I just have to speak into the phone to text, then voice what I want the text to say. Same goes for email. I think I am really going to like that feature. I will also be using it for school. My daughter asked me what a Bison looked like last week. So I hopped online to search for a picture for her to see.. If I had the phone, all I would have had to do was ask it what a Bison looks like, and in 5 seconds flat, it would have pulled up a picture and description of one for us to see. I’ve been trying to recall what type of school lunches I had growing up. I don’t think they were the picture of health….Grilled Cheese and French Fries, Pizza, Hamburgers, chicken nuggets, Fried fish sandwiches,Hot dogs, along with the occasional Tuna Boat, which was my personal favorite. I recall corn and carrots, but I think that is it as far as veggies went. I don’t recall salads at all. And we had chocolate milk and white milk as drink choices. So not very healthy…However, there was only a couple overweight kids that I can recall. In fact, I can only think of two. And they were both boys who were called names and humiliated, for their extra pounds. This has left me confused at why so many kids are overweight. Is it because many schools have cut gym classes? Is it because they are not getting the exercise after school as we did? –Playing outside till dinner time? Is it because there was an ‘actual dinner time’ where moms were home in time to cook real meals? Or is it because we now have 10x the convenience choices of prepackaged foods, and even if kids have a babysitter, the baysitter is left with prepackaged foods to prepare for the kids? Perhaps it is all of the above? Today DH and I had a long drawn out talk about this. I casually made the comment to him, that I actually like Michelle Obama. I like her mainly because she is so pro-active in her children’s lives, as well as the lives of other school age children. DH laughed, then laughed some more. He thinks it is all a hoax, and the media is just showing the five minuets here and there of Michelle doing a few ‘good deeds’ –But not because she cares. More for brownie points! We agreed to disagree, and that was that. I can not say 100% whether he is right or not..but I do like her. DH also mentioned how Laura Bush did the same thing with her views on education. But did she also make a real difference? 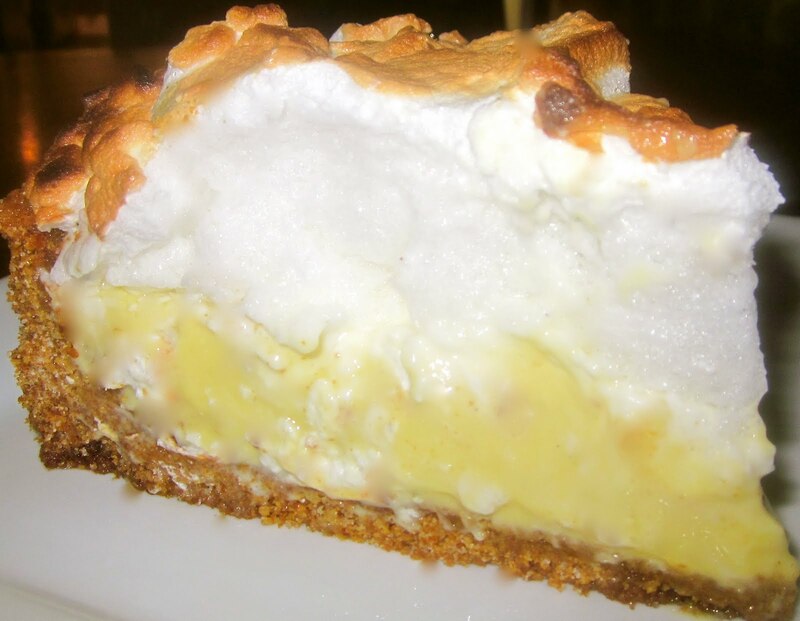 I left Walmart with a Key Lime Meringue pie!! I was not planning on buying a pie but when I went over to the yogurt section the ‘day old cart’ was packed to the brim with all sorts of pies. All marked down to $2.99 each. Grr! I also picked up two 4-packs of chocolate chip muffins for $2.09 each. I don’t care for chcolate chips, but the kids do. And DH always likes a little something to go with his coffee. Which will be Starbucks tomorrow! And better to bring a .50 muffin, then to pay $2 for one of theirs! But that’s not all! I also picked up six loaves of Italian bread that was marked down to $1.18 each. I have tried every single grocery store bakeries Italian bread, and as shocking as it sounds..I LOVE Walmarts the best! Next to my own of course. I think they must add extra Gluten in it because it never crumbles the way other grocery store bakery bread does. And that is a pet peeve of mine. I can’t stand crumbly bread…That is reserved for corn bread ONLY! So now the kids can make a big grinder tomorrow, and I freezed the rest to make garlic bread or french bread pizzas for quick ‘fun lunches’ next week. Soooo—while I did pick up the burritos and popcorn that the kids wanted…. I got myself a pie. No one really cares for Key Lime but me! So here it is, nearly midnight. I need to wake at 5am with DH..and I am eating PIE! Praise God for New Days! There is so much power in the word! One thing that I am so thankful for is my ability to bounce back. I get crazy angry…but it never lasts for more then a few hours, or a day at the most. I was not raised in a Christian home, but the Lord has always turned it all around for my good. I feel like I have the ability to bounce back very easily, I think…because of all the moving around I have done as a kid. There was simply no time to mourn, or feel sorry for myself. There was always a new apartment to explore, and a new school to be the awkward new kid at.. So today I woke up feeling very productive, given that I did not have the urge to log onto face-book for anything. I try to take three months out of the year off..Generally every 4th month. I took last November off, so now March will be another month. I don’t like how much control it can have on me. I suppose it is like texting. I know that sounds like I have some major self discipline problems..but then again, who doesn’t? So I woke at 8am..generally it is 10am, seeing as I stay on FB from about 10-1ish each night..Give or take.. I woke at 8am, made breakfast, watched the news…had some really nasty freeze dried instant coffee..I have no idea what I was thinking. And I decided to work on my Birth Tree wall art, which is coming along very nicely. Then I did some housework, and finished the laundry..
Then the phone rang…My dad called me, my cousin called me, and then a friend whom I have not heard from in a while, texted me. It just really cheered me up! I don;t know if it is because I don’t drive, so therefore don’t leave the house as much as the average SAHM.. But I need to have some outside communication.. I love talking,and I love listening to other people talk. So here it is..3pm. Everything is all done. DH should be walking in the door any moment. The three youngest are out on the trampoline enjoying this awesome sunny day..Two oldest are getting ready for church already..
And I am continuing to pray for myself…Something I rarely do. I spend so much time praying fro others that I rarely remember to pray for myself.. So throughout the day I have been praying in detail, for myself…. I was having a conversation with my daughters, and one asked me if I would still want to move out of NC some day. She told me that she would like to live either in New Mexico, or Oregon. I told her that I would still move back to New England, if given the chance. She reminded me how miserable I have been with all the snow and cold weather down here, but I told her I would trade that discomfort for the people back. After nine years of my mind playing tricks on me… trying to convince myself that I am happy down here…I am still yearning for MORE. People keep telling me that your family makes a home….Yet, as I am growing older I’m realizing that ‘friends’ also play a key role in life. I was watching ‘The Today Show’ and I think it triggered something. And that got me thinking…THEY DO! And I miss that so much! Even though Southerners claim that THAT is so rude…I find it more rude, and more of a ‘slap in the face’ always having to second guess my ‘so called friends’ down here. I NEVER…let me say it once more N.E.V.E.R once ever had to second guess who my friends were back home. I never thought for one minute whether they were just ‘pretending’ because they didn’t want to seem rude…We laughed, we prayed, we hung out, and we broke bread together. We shared our lives with one another..We were involved in each others life. We knew that we had each other backs, and we always stood up for one another. We embraced life.. TOGETHER! We actually were able to multi-task enough to maintain both. Who would have thought..THAT is possible! You can have a job, go to church, have a family..And YES! You could actually have REAL live friends in the mix!! This all has got me thinking about my current friends down here.. I give so much of myself. So much in fact, that my own needs always seem to take the back seat. I know that we are suppose to give and ask nothing in return..but as I am getting older I feel as if I have been cheated. I have always taught my kids to treat others the way that you would like to be treated..and as corny as it sounds..I am a damn good friend! Where are the other people like me? ALL UP NORTH?? DH says it is because my friends are too young for me… and very immature. They are still in that ‘selfish stage’ And may be he is right? In fact, I k ow he is. Up North I had four close girlfriends. They all had ten years on me. Down here, I am ten years older then most of my friends. And the couple that are my age and older, are just self absorbed with their own lives, and only contact me when they need help with something…knowing I am the one that never says no. I am in a transitional period I think…? I know that you can ‘outgrow’ friendships..And I have outgrown friendships myself.. Mainly because I stopped a certain hobby, or changed my beliefs about something, and the friendship that once had a common core–just sort of dissoved. I fine with this. But today I am questioning if the people who I call my friends, were ever really my friends at all? I read a meme on Pintrest earlier that said, “Isn’t it ironic that the people that hurt you the most in life are your friends, not your enemies. And while I have never known myself to have an actual enemy…I am slowly wondering if some of my friends are in fact, my fenemies..
Can you even top that? WTH? Placing those nasty comments aside, I have never heard the phrase’ I am just busy’ more times then I have down here…. It would be better for someone to tell you that they don’t feel like the friendship is going anywhere. And be done with it…then to keep telling you months on end that they are too busy, but we will get together soon…blah, blah, blah. I’m also sick of is when you are doing the same thing with a friend….volunteering at the same organization, or active in the same ministry… THESE people will be your best friends! BUT as soon as you take a break, or pursue other doors that have opened in your life..You get the cold shoulder!? They simply write you off completly. Za-ta! Ziltch! They never knew you. There seems to be very little genuineness left in this world. Or at least in the small corner which I am imprisoned…. I know this happens to everyone at some time or another..and I know a lot of people who have been hurt so much in their lives, who now have chosen a life of confinement… Because of the pain..
As hurtful as it may be..I know what needs to be done. If nothing more, then for my own peace of mind. And in the meantime I’m going to be praying for friends who are encourager’s, and uplifting to me… Friends that will contact me even if they don’t need something from me. Friends that will check up on me the way that I do to them..
With age, comes a sense of maturity…. Maturity forms a sense or genuineness..
And time will always = LOVE.